I absolutely love the summer because I finally have time to play with my kids and not worry about homework, school activities, or bedtimes. My kids range in age from 1-12 and we have a budget, so making our twice weekly outings fun and affordable can be a challenge. Beyond exploring different parks (and Salt Lake offers some amazing ones), here are my favorite places. #1--Pass of all Passes--We snagged these passes for only $10 (though they often come on sale between $20-$30 and we will likely renew them next year at that price) and they include a year of Seven Peaks water parks (in both Salt Lake and Provo), both Trafalga locations (Lehi, Orem, and Sandy) and other goodies such as Real Salt Lake soccer games, and the Tracy Aviary (Mondays only). The Seven Peaks location in Salt Lake is reasonably crowded and practically empty in the morning during pass only hours. The only catch is you do have to add parking and tube rental to your pass (for $30) to fully enjoy the park. For a full sized waterpark, this is quite the deal. It offers several waterslides including a water coaster, a kiddie pool, splash pad, and lazy river. The rope swing is popular as are the toboggan sled slides. When the summer is over, we plan on visiting Trafalga monthly where my children particularly enjoy mini-golf and laser tag. #2--Classic Fun Center (Sandy location)-They have more deals than any one blog post could cover. Be sure to read through the specials on their website to decide when to visit. For single attractions, Tuesday night is perfect unless you want to roller skate, than go Thursday. For unlimited attractions visit on Wednesday after 5 but for the best waterpark deal, come before noon. Or just buy the Summer Pass (coupons will get you a pass for $10 a person but it costs an additional $1 per attraction on future visits). Their water park is geared for kids under 9 including 4 medium water slides, 3 inflatable water slides, and a kiddie pool with 2 baby slides. The best part is the you can hold a child on your lap while going down the slides. The water park also only has shallow pools, so it is safer for families with multiple children (no wave pool or lazy river). Classic also allows scooters and trikes on their roller rink and offer a wedge (for an additional fee) to help preschoolers learn to skate. In addition to the roller rink is an oval course for more experienced skaters with ramps and obstacles. They have an amazing indoor inflatable area (with slides, obstacle courses, and a bounce house), Laser Tag, dimecade, and the Jungle, (a tube area including zipline, ball pit, swings, etc). My kids often beg for the Blast Zone where you can shoot each other with hundreds of soft balls or escape down the steepest slide imaginable. They also have locations in Orem and Layton but attractions and pricing vary. #3--Children's Museums at Discovery Gateway (in Salt Lake) and Ogden's Treehouse Museum--Discovery Gateway provides a ball exploration room and mini city on the main level where children (geared at the under 6 crowd) can wear costumes and pretend to be anything from a farmer to a construction worker. The mailboxes with letters and carrier costumes are a real hit as is the construction site, grocery store, and water table. Upstairs, older children can enjoy creating in the art room (make a comic strip, shoot a still frame movie, etc) or the block room with emphasis on building, engineering, and physics (multiple types of blocks, paper airplane designs, and puzzles are available primarily geared at school aged children. 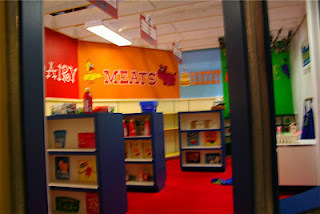 Many of the upstairs exhibits require children to be able to read. There is also a news tv set and a helicopter to explore. The Treehouse Museum emphasizes bringing books to life and has several fairy tales from around the world to explore. They also have a castle room, a baby doll room, dinosaur room, barnyard/cowboy room, train room, a one room schoolhouse, and an oval office (and probably a few rooms I forgot). 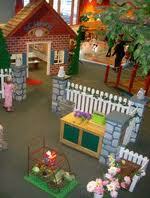 Several books are available along side toys and costumes in every room so you can read to your child as part of play. As you can see from the list, the two museums are very different and most children would enjoy a visit to both. In the Summer, the Treehouse Museum offers a free admission day one Saturday each month. #4--Dinosaurs--Utah is dinosaur country and there are museums across the entire state. In the Salt Lake region there are three major museums. The Ogden Eccles Dinosaur park is largely outdoors with life sized statues of dinosaurs carefully arranged along trails. In Salt Lake, the Natural History Museum of Utah (at the University of Utah) is a new state-of-the-art facility with exhibits on Native people, rocks and minerals (much of Utah has roots in mining), and dinosaurs. The collection is staggering with plenty of interactive exhibits including an exploration room for littler ones. Free days are offered periodically, but tickets are difficult to get. In Lehi, the Museum of Ancient Life (part of Thanksgiving Point) offers one of the largest collections of dinosaurs anywhere. The museum is designed chronologically starting with a look at the stars and moving through the eras (including the famous Jurassic era to the woolly mammoth of the Cenzoic era) ending with a pinned butterfly that became extinct only 50 years ago. This museum has plenty of interactive exhibits including a toddler room, an extensive sand/water table, and a dinosaur bone dig. For dinosaur lovers, this museum is ideal (and indoors). #5--West Valley Rec Center--The Salt Lake area hosts many recreation centers owned by the county or individual cities. Most are excellent and offer a variety of activities from batting cages to rock walls to swimming pools. My favorite is the West Valley Family Fitness Center for three reasons. First, it is cheaper than the other rec centers I have visited (40-50% cheaper for my family). Second, their indoor swimming facility is a good balance for families with a large range of ages. It includes a water slide that school age children can enjoy (because of the relatively shallow landing area), a toddler slide, water fountains, and current pool. Older kids can also enjoy playing in the lap pool and shooting a few water hoops (the best swimming facility is located in Kearns but is difficult for families with multiple children under 5 and is largely outdoors). Third, the center offers an award winning children's exploration area that houses a pretend grocery store and kitchen, a large space themed tube and slide area, an 8 foot hoop basketball court, a block room (geared at toddlers), a reading nook, video games that require some exercise including Dance Dance Revolution, and more. The center also has foosball and ping pong (my older children's favorite attraction) and a bouldering wall. With so many things to do, we are often here for 4 hours. #6--Discount Theater--Located at 5400 S and Redwood Rd, Showstar 6 offers first run movies for only $3 on Mondays. Add a large popcorn and two large drinks (with unlimited refills) for only $14. With a family of 5 kids, unlimited popcorn and drinks at that price is a bargain, though we sometimes go to the movies without the treat. This theater is family friendly and the only place I will take a toddler. #7--Hogle Zoo--My children actually don't like the zoo but a lot of my friends go here weekly. With several upgrades in the last few years, Hogle Zoo has a lot of impressive exhibits. Newly opened Rocky Shores has sea lions, otters, seals, and polar bears (!!!). The Asian highlands houses big cats and has a hidden Grandma's house (a small room with Chinese everything to explore and escape the heat). The Elephant Encounters includes a baby elephant and a life size statue that sprays water out the trunk. The zoo has plenty of other animals including primates, a reptile house, wolves, giraffes, and more. Add in the train ride (a must do), carousel ride (must skip because of the price), and a playground. The only catch is the price--either buy a season pass (it is less than the cost of 2 visits) or go on a free day (offered only in the winter months but well worth it because the animals are often more alert than in the hot summer months). #8--Thanksgiving Point--Located in Lehi, Thanksgiving Point has 3 major sections. The animal farm includes plenty of barnyard classics to see and pet, a wagon or pony ride, an interactive farm play area, and a toddler playroom inside the admission building. The Gardens are legendary and are divided into the main gardens and the Children's Discovery Garden. The main garden includes the largest man made waterfall in North America and is impressive with multiple viewing angles behind and in front of the falls (I cannot emphasize how impressive this is). The gardens also contain a beautiful European fountain, a secret garden, a koi pond, and thousands of flowers (just to name a few). It is truly spectacular especially during tulip season. The Children's garden includes two hedge labyrinths (my son like to re-enact Harry Potter book 4 here), a discovery area (with blocks, wooden instruments, sand box, etc), bear caves, bug exploration, and a Noah's Ark splash pond. The most popular attraction is the Museum of Ancient Life with an impressive number of dinosaurs (as featured earlier in the post). The price tag can be hefty, so look for coupons or members who can get you in for half price. Locals go on Tuesdays in August for only $2 per person per attraction. #9--This is the Place--Patterned after Colonial Williamsburg, This is the Place Heritage Park contains dozens of homes and shops dating back to the pioneer settlers starting in 1847. Many are staffed by period costumed tour guides that offer incredible insights into the lives of the people and craftsman who lived in Utah over 150 years ago. From the schoolhouse to the governor's house to the blacksmith to the barber shop to the hospital staffed by female doctors from the 1870s (move over Dr. Quinn), visitors get a peek at the occupations and family life of early settlers. Add in a train ride that circles the park, a "pirate" ship and gold panning area for the kids, a craft station, pony ride, petting zoo, small playground (with frontier playhouses), this place is educational and fun. Two words of advice--go on a moderate day instead of a hot one and be sure to have your little boy get a "shave" by the barber (he may even throw in a leech treatment). 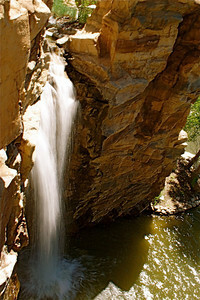 #10--Millcreek Canyon--This canyon is a family favorite. With several picnic sites, a creek, and plenty of hiking trails, our family often comes here for a wiener roast, a nature walk, and some time to relax (away from the tv). It also is cooler in the canyon making it a great escape from the summer heat but you may want to bring your jacket in the evening. There is a minimal fee per vehicle (around $3) and the canyon is popular on holidays and weekends. This is also a great spot for family pictures. Salt Lake offers plenty of options for families--museums, fun centers, the great outdoors, and the air conditioned indoors. Many places offer discounts and coupons and others are inexpensive. So, grab your kids, and enjoy one of these places today. I like the water part at Liberty Park. Also since I live up north, we always have a season pass to Cherry Hill. I want to check out the new natural history museum at the U. And when my son was younger, story time at the library is always a hit. If your kid's dream was to have an inflatable bounce house at their birthday, how do they'll feel when they can play on a bouncy basketball inside and slide out of it too? Amazing jump is the best birthday party arranger. There are pre assembled kits or full do it yourself car electric conversion instruction for sale. Generally, all of the non engine parts of the vehicle are not changed- car body, safety features, breaks etc.